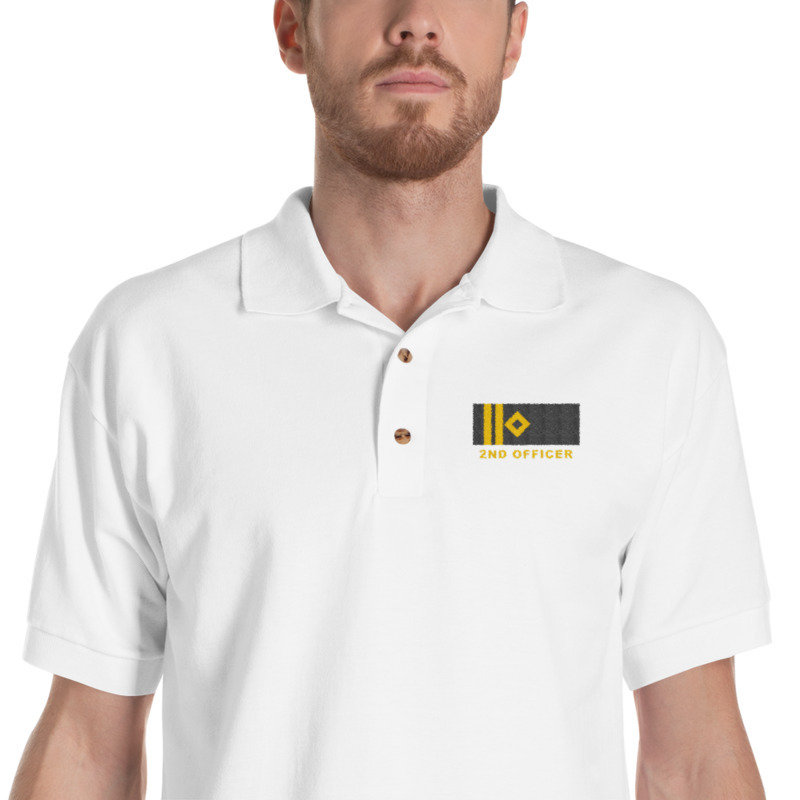 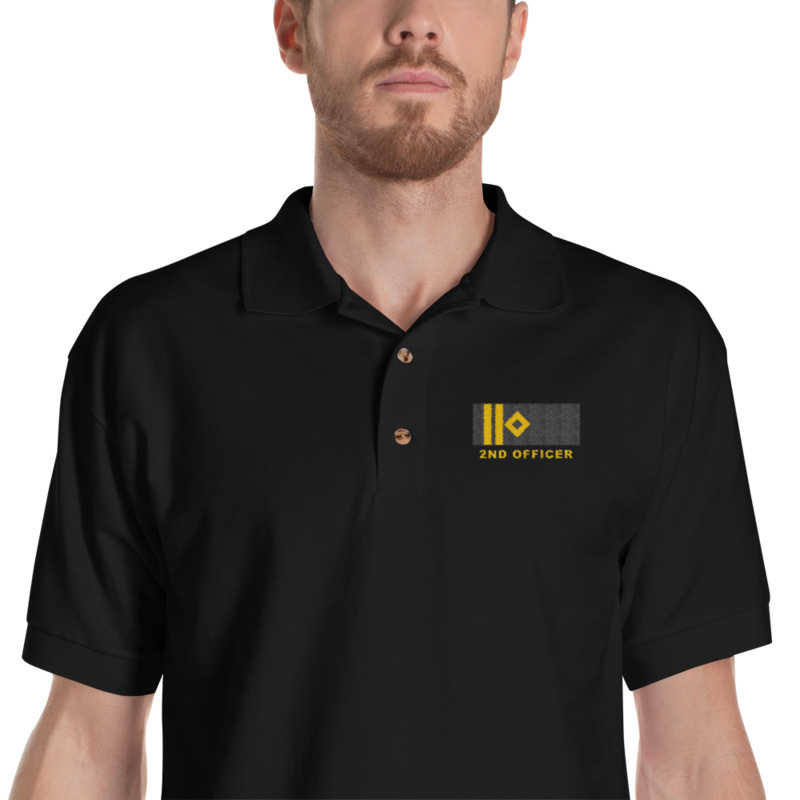 Ship 2nd Officer / 2nd Mate rank polo shirt! 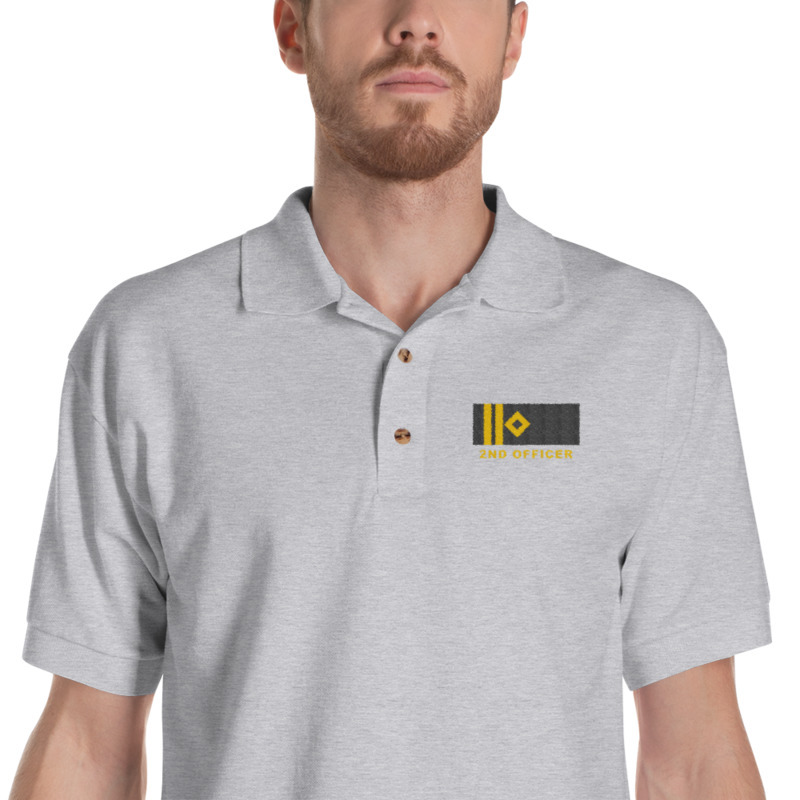 Combine casual outfit and professional look when working on ship! 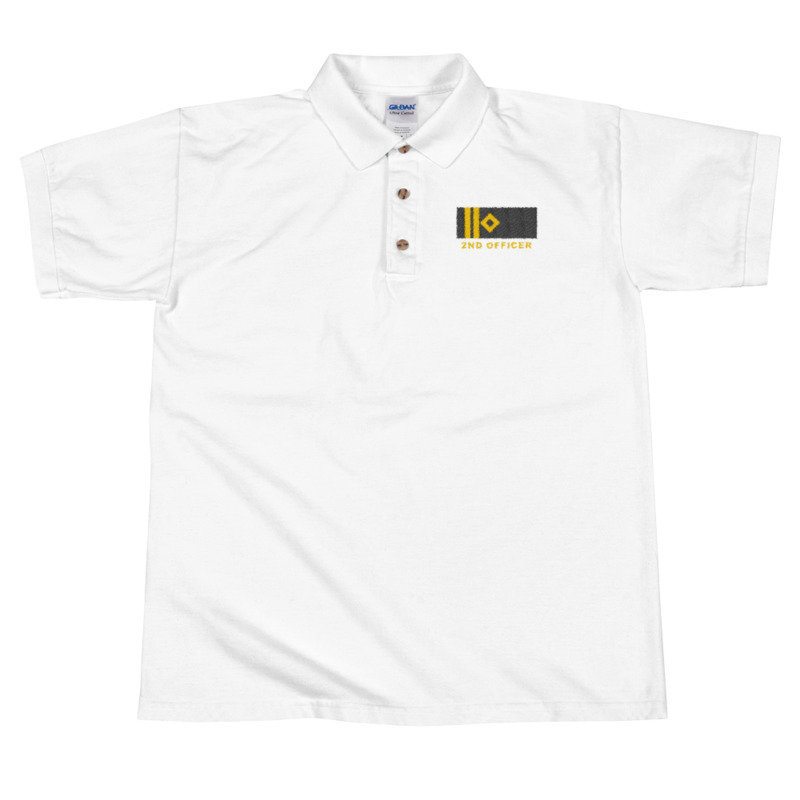 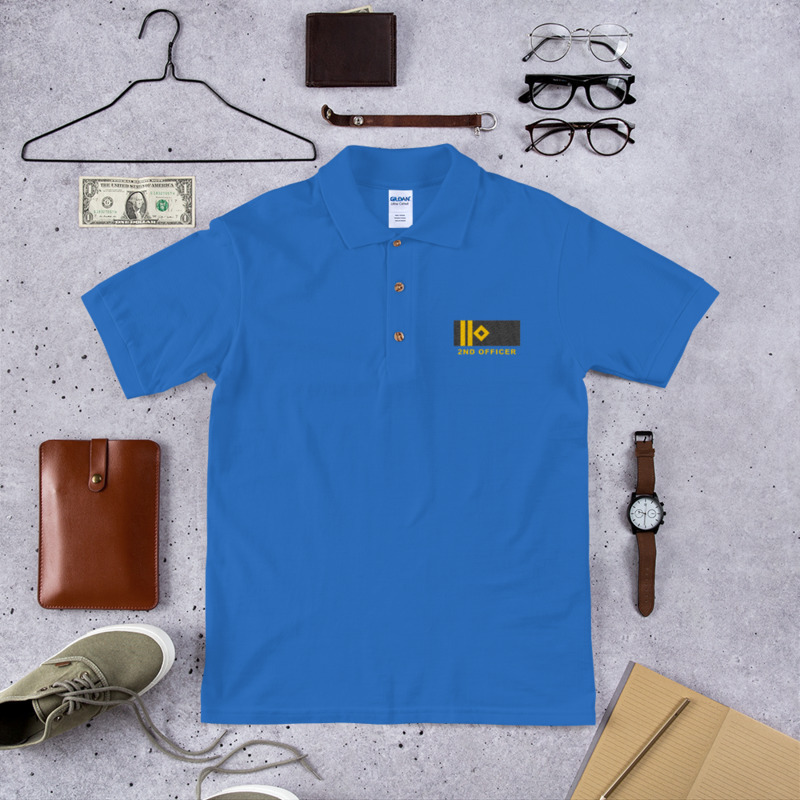 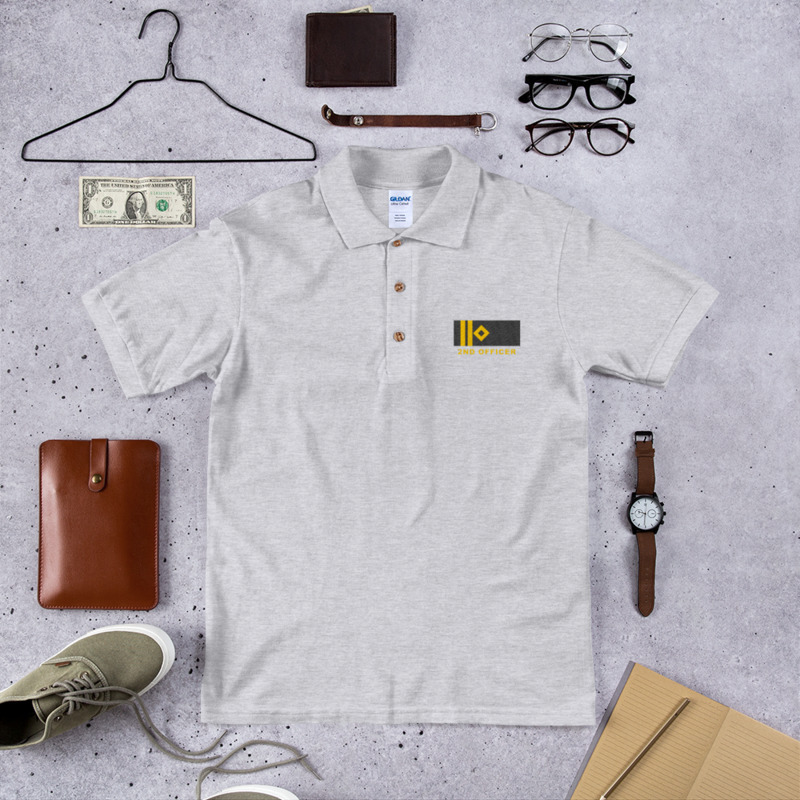 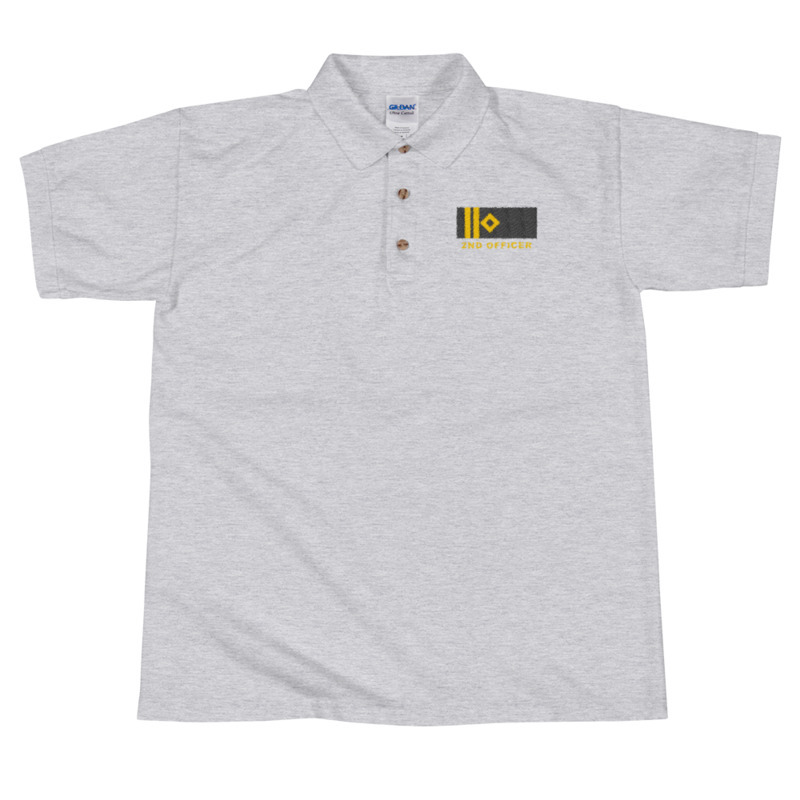 Combine style and class with this 100% cotton polo shirt which will maintain its shape after washing. 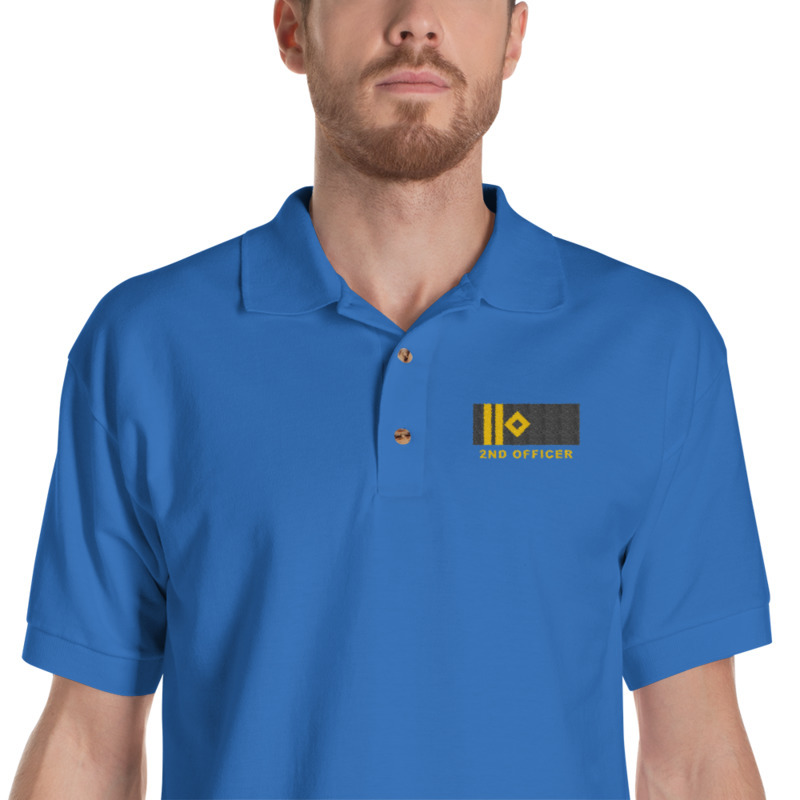 Some details for merchant marine 2nd Officer rank clothes! 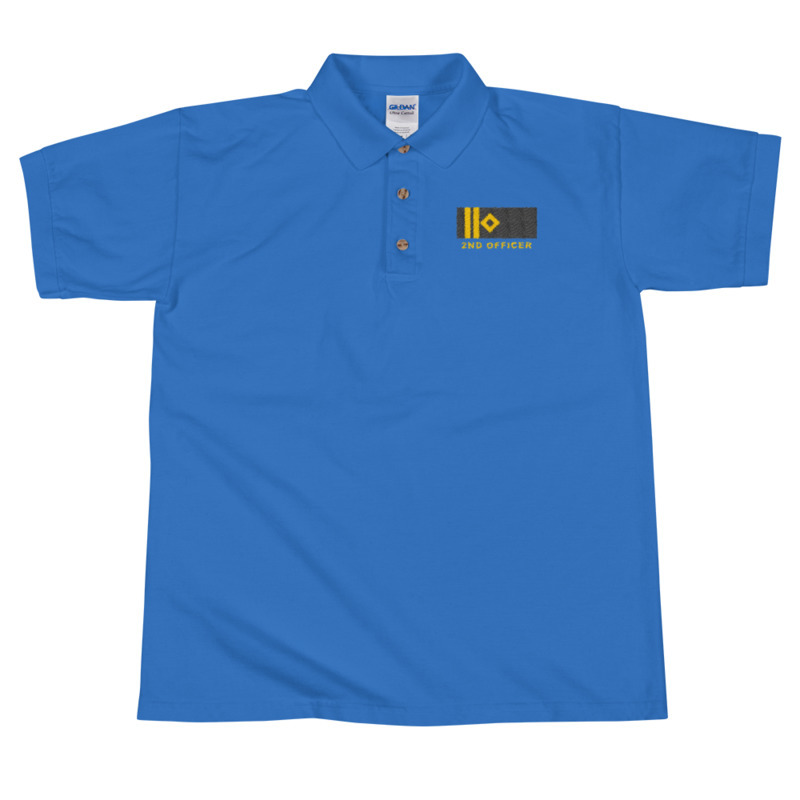 After order next day we embroidering your rank on polo shirt, and sending shirt on your address.